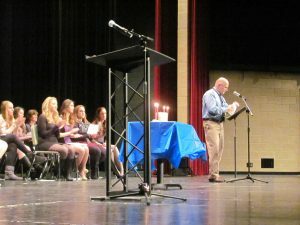 The National Honor Society, commonly referred to as NHS, held its yearly induction ceremony on Tuesday in the high school’s Performing Arts Center. Incoming NHS members attended the ceremony along with their parents, who were highly encouraged to attend as well. Precisely at 7 p.m. seniors and NHS leadership officers, Hailey Anderson and Taylor Harrison, greeted the 67 new members by first defining the requirements needed by students in order to be accepted. New NHS members were then praised as excellent students in not only the academic area but who also possessed strong leadership qualities and characters. The introduction ceremony began when all current NHS members introduced themselves by sharing their college choice and intended career paths to the new incoming members and their families. Each senior member preceded to introduce at least one new member by reading off their various extracurricular activities, positive attributes and future plans. After all of the 67 new members were fully introduced and accepted into NHS. 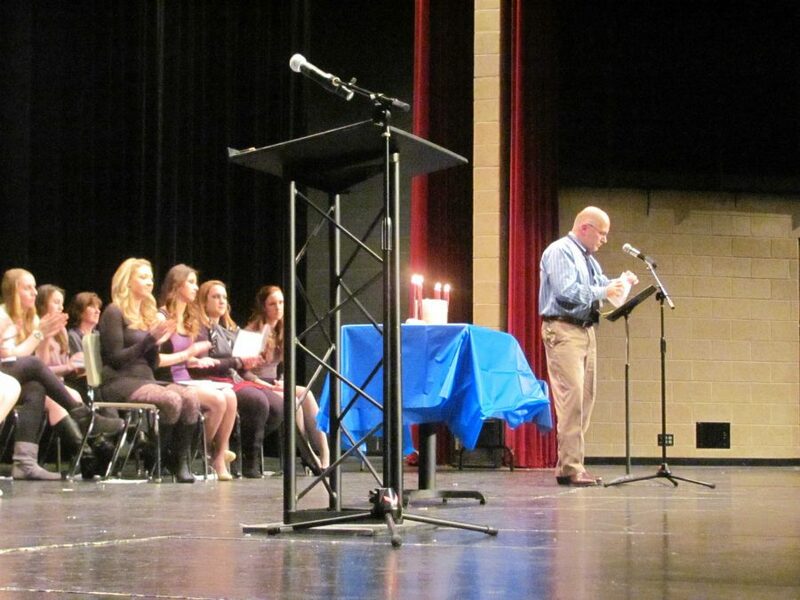 The NHS candles progression followed led by NHS leaders Amanda Rosso, Melanie Wolf, Olivia Stepp and Sara Scarbo. Located at the center of the stage were four candles on top of a decorated table. Each candle symbolized scholarship, leadership, service and character– attributes which the newly added NHS members are expected to possess. Following the demonstration of the candle lighting. Principal David Johnson personally congratulated the new NHS members by expressing his approval of all incoming members. “It is better to deserve honors and not have them than to have them and not to deserve them,” said Principal David Johnson, when quoting Mark Twain in his speech congratulating the newest addition of NHS members. The official NHS pledge followed and was led by leadership officer, Marta Makowski, who asked all newly admitted NHS members to stand up and raise their right hand while repeating the pledge. Each member was then called down to the main stage where they lit their candle representing their full acceptance into NHS. Closing remarks were made by senior NHS leadership officer, Molly Murk, officially ending the induction ceremony.